Google has today updated its Maps data to show the affected areas after Hurricane Sandy hit the Eastern coast of the United States. In a post on Google+ the team shared that it is now including updated NOAA data of the New Jersey, Delaware and Maryland coastlines. 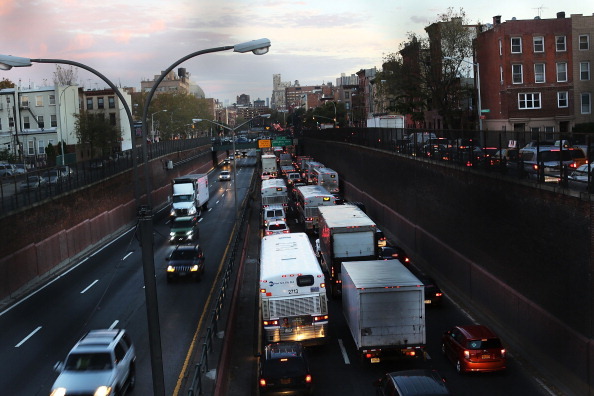 But more valuable to the residents of New York is what Google is doing with transit data. 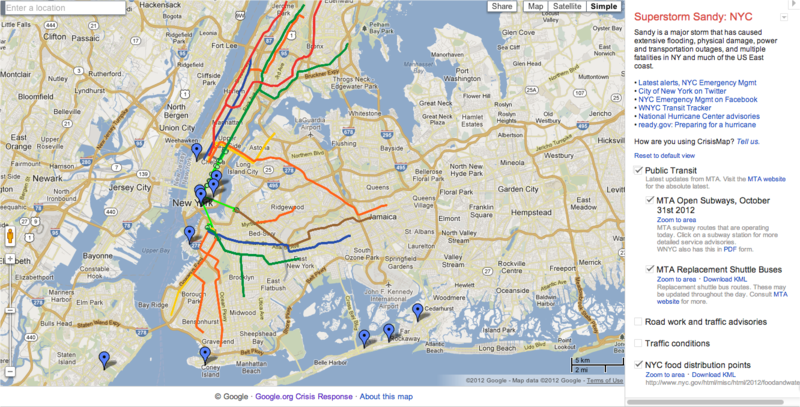 As more options for public transit become available, Google is updating the transit options in Maps in near real-time. Plus, our NYC-specific map has new layers: Find out which subway lines are open and where you can catch an MTA shuttle bus on our new public transit layer. We’ve also added information about food distribution points. Visit the map here. Google has been actively involved with data and relief efforts for hurricane victims in the US. The company introduced a Public Alerts function that would give information via the Search and Maps applications. That feature came just one day after Google’s Crisis Response team developed and released maps specifically to help with Sandy planning.